From sensitive skin to overly coarse whiskers, it can be a challenge keeping your man-fur well groomed. Understanding your woes, the good people at Van Der Hagen developed this Premium Shave Set. 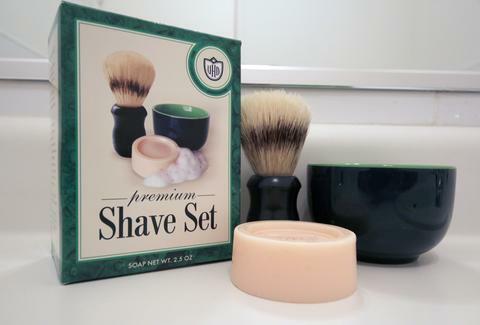 This shave set includes all the essentials for a close and comfortable shave: a specially formulated hypo-allergenic shaving soap made with 40% humectant moisturizers to help soften your beard, a specially designed dipping bowl that prevents tipping, and a 100% natural boar bristle hand-made shave brush. Now you have no excuse for impersonating Grizzle Adams.